These large pockets measure 6.25" x 6.25" and have clear pockets both on the front and back. The front pocket is designed to display a title card. 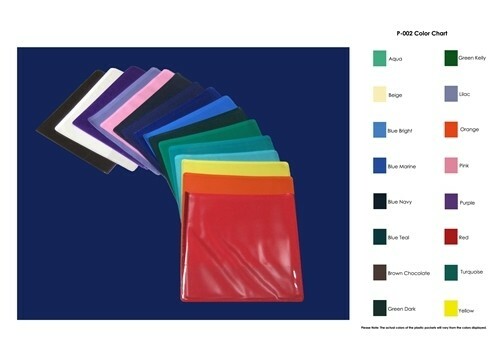 The back pocket also includes a pouch for labels 5.5" x 1.5" These pockets are suitable for storing exercises with 5.5" x 5.5" picture cards and labels for materials such as simple nomenclatures.